Visit the Geelong Gallery . TIP: Don’t miss the Gallery Shop for a unique gift. How much wildlife can you spot at Serendip Sanctuary TIP: Say hello to the friendly (but somewhat intimidating) emu strolling the carpark and picnic area. Take a Brewery Tour (all Ages) at Little Creatures, Geelong. Want to help us get this list to 100 Amazing things for families to do in Geelong and surrounding areas? Submit your activity, event or location and we’ll check it out. We’ve been to a few events recently and the popular topic is how Geelong is booming, growing up and making its mark. Just today we counted no less that 9 cranes dotting the skyline. Things are moving forward in Geelong and the future is shining bright. Today on the blog we welcome guest Bernard Kelly to share with us a little more about his recently published book, Exciting, Dynamic Geelong. read” gift for distant friends and relatives. It’s all about the city’s history, jobs, economic development and the future. soaring international reputation: it’s now ranked around 275th in 14,000 research universities worldwide, up from a distant 750th as recently as 2010.
the rankings began to accelerate. naturally result in generations of subsequent dynamic and evolving firms. cities. But overall, the book concludes that the city’s future is Golden. *Note: We’re constantly working on this list. Bookmark the page and check back often for fresh new Geelong creative small businesses as they emerge to us. This Christmas, like every other, we’re trying to buy as much from local small businesses as we can. Be it online or direct, we understand how by supporting local, small business we support our community. But where are they all? The shopping centres are full of mainstream stores and many of the small businesses we want to engage with only come out at markets, which can be infrequent. To help anyone else that is keen to support a local small business and pick up unique products we’ve decided to create a list of wonderful, talented local Geelong people, creatives and small businesses that we’ve discovered. If you’ve been looking for candles, jewellery, soaps, fashion, artwork or giftware either from a business that operates from Geelong then check out our list below. If you would like to be added to our list or know a great local small business that would be a perfect inclusion in our list, get in contact with us to apply. Maglendesigns Designs – Towels, Bags, Cushions, Thongs. POP Planner – Funky and Fab Planner. Plan. Organise. Prioritise. When it comes to the parent life, knowing great places to visit with little ones is a requirement. Rail, Hail or Shine, sometimes you’ve just got to get out of the house and seek other human life forms! Have you found something fun to do with kids on The Bellarine? Share it with us. The Pako Farmers Market is a community market, managed by the Barwon Fair Food Network, a non-profit incorporated association. A gold coin donation is required for entry and the money from your donations goes to Ashby Primary School’s food garden program and to other food-farming projects of the Barwon Fair Food Network. Every stallholder at the market is the actual farmer, grower or maker of the food you’re buying, or is a direct employee. The market is on the second and fourth Saturdays of each month, 8am -1pm and held at the Ashby Primary School in Geelong West. Other local fresh food markets in the region; South Geelong Farmers Market and the Golden Plains Farmers Market. Do you visit farmers markets – what do you load up your (enviro friendly) bags with? If you’re like me and devour content like it’s a marshmallow infused cronut, you may have discovered the lack of bloggers with klout from down this way. Marketers targeting the region could use bloggers with influence in the region. Bloggers who have a uniquely individual voice and focus on all things local. For a while we were delighted by the beautiful Oh! Hello Geelong blog, the discovery of a new town by “two girl who were not from here” [Geelong], however after its creators Laura Blythman and Penny Phipps left town the blog fell into disrepair. It now seems to have been invaded by nasty code (thus why I haven’t linked to it here). Such a shame. We have seen a few foodie blogs emerge including The Geelong Manual which give us the cool guide to great food and drink in town. Tells us where to hang, be seen and most importantly, how the coffee holds up! The Life of Clare is also a relatively new blogger in the region. Via her pretty blog, Clare shares her green and frugal adventures on the Bellarine. Geelong Fashionista is a fashion and lifestyle blog with styling and fashion finds and ideas. A great blog, however for the most part content is not centred around Geelong. Look back through the posts and you will find Geelong content, but as the site lacks a search field or a Geelong category tag, we find it hard to add this to our Geelong blogs list. Mama Geelong is the go to blog bible for many mothers however unfortunately the updates are few and far between. We like what Sequence Digital are doing with the Wholesome Fun blog, however with the branding on every image and in the sidebar it loses that individally blogger voice and vibe. If you know a blog that fits that criteria and it didn’t make our tiny list, then hola out loud and we’ll investigate! What better sort of post for a Friday than one about Cocktails. 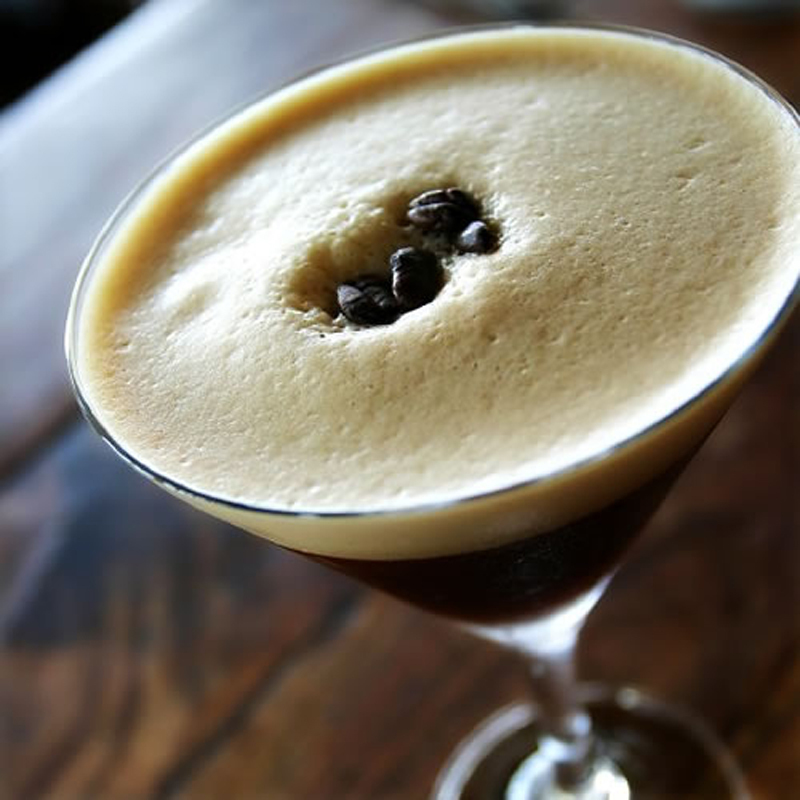 Surely one of the Kings of the Cocktail list has to be the Espresso Martini. With it’s rich coffee bean hit served in a chilled Martini glass, topped with foaming rich goodness and a subtle coffee bean or two for decorative purposes it’s after dinner Apéritifs at their best! But where is Geelong should one head for such treats? We’re done the leg work and tracked down the Top 5 Espesso Martini’s in town. We’re always impressed with the wine knowledge and cocktail skills of the guys and girls behind the bar at Tulip. Order up an Espresso Martini here and you won’t be disappointed. Relative newcomer in the city Denny’s Kitchen has the goods on the cocktail mixing. The great vibe, good food and rollicking atmosphere make this a go to destination. Its likely coffee runs in the veins of this authentically Italian eatery, and top notch coffee is a perfect way to start off a very decent Espresso Martini. Be prepared to enjoy a strongly brewed, full flavoured Espresso Martini. This place is made for Cocktails so its no surprise to find a great choice of interesting mix ups confronts you. If you decide to opt for the classic Espresso Martini rather than opting for one of their tantalising, unusual creations you’ll be served up a delightful, professionally prepared mix. You can tell the pros come out to play at this little, dimly lit cocktail bar. If you’re up for trying a few other cocktails we can also recommend the Lemon & Sugar Pancake – it’s quite extraordinary how exactly like a Lemon and Sugar Pancake this cocktail tastes! The Espresso Martini here is as decent as you’ll get, if you’re not a coffee fan you can try their Chocolotini – the chocolate lovers Martini. If you like your bars refined, finely furnished and dimly lit then make tracks for Gin & Co. An impressive Cocktail list awaits. Here they serving up an Espresso Martini with classic ingredients and prepared by someone who obviously knows their way around both a coffee machine and cocktail bar. An impressive cocktails menu awaits at Mr Umamis on Pakington St and we were thrilled to see (and try) a few unusual cocktail combinations. However, as they don’t currently have an Espresso Martini on their drinks menu (hint hint!) they didn’t make this list. But high fives for some great, inventive cocktails – we’ll be back soon!